In this article, we will tell you a bit about Ethereum Tokens based on Smart Contracts. 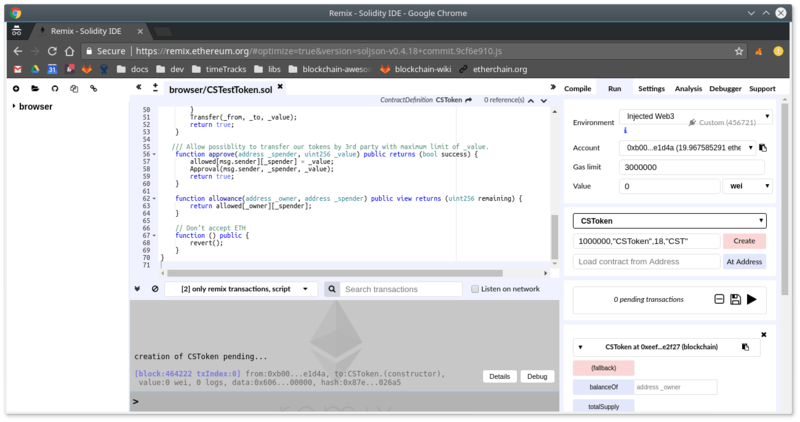 For developing tokens is good to know basics about Solidity – which is a programming language of contracts – also with a tool like Remix. It is also good to know basics about Ethereum Network itself. The most popular engine, where we can create tokens is Ethereum. It is not only a cryptocurrency but also a development platform. With Ethereum, every user can use blockchain technology. Everyone can create DApps (Decentralized Application) with the usage of Smart Contracts. One possibility of use Smart Contract is creating a token. Nowadays Ethereum community created a standard implementation for tokens – called ERC20. 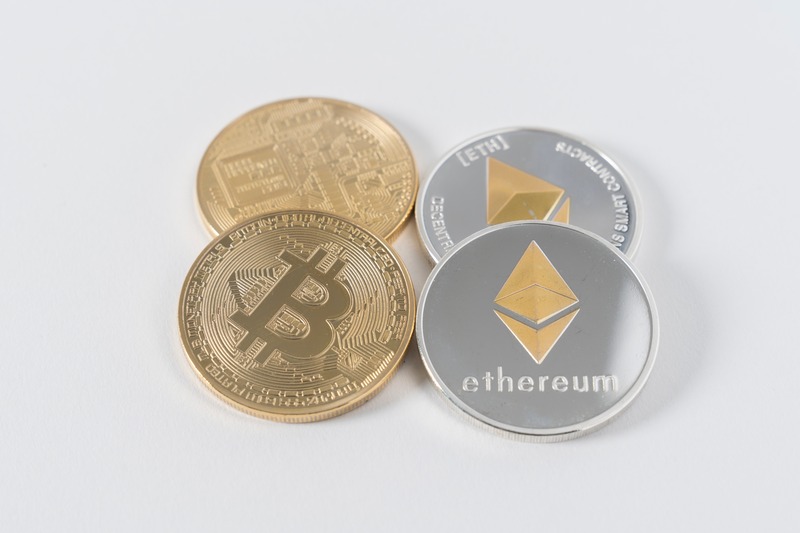 Tokens like cryptocurrencies represent some virtual value. Ethereum Tokens can have different purposes. Most of them are available on cryptocurrencies market, so they have value in FIAT currency. Some of the tokens can be used as the payment medium (like US Dollar). Some of them can be used for ICO (Initial Coin Offering). Others may serve as a reflection of the ownership of a certain percentage of ownership. Also, it is important to notice, that Token is managed by code, not by person. With this is possible for developers to create functionality to make inflation with creation more token in time. At the start of Ethereum, tokens don’t have formal standardization. That means every implementation can have different behavior. Functionality then can’t be support by 3rd party tools or cryptocurrency markets. Ethereum community worked out a standard interface implementation for tokens. This implementation is called ERC20. The ERC20 standard defines based functionality and implementation. It also gives functionality to make the transfer by 3rd persons. decimals – decimal points for a token. Used mostly for representation. It’s like Wei to Ether. Transfer when the transfer was successful. Must throw an error when we don’t have the necessary amount of funds. transferFrom – function for transfer token from one account to other by 3rd party. allowance – return amount what 3rd party can transfer to other by using transferFrom functionality. Transfer – event executed when a transfer occurs. Approval – event executed when approve occurs. It is important to notice, that implementation of ERC20 Tokens can be different in details. Can have more functionality (eg. freeze tokens on accounts or automatic give tokens for Ether transfer). Depending on the assumptions of the creators, they can support more security or put a lot of emphasis on saving the gas used by the contract. In next part, there is a source code of ERC20 Token. This implementation is simple without additional functionalities. For our article, we will create CSToken – in short CST. The total amount of tokens we will define as 1000000. Out decimal points, we will define to 18. /// Constructor of token. All defined tokens in _initialAmount will be bind to creator of contract. /// Transfer tokens from one account to other by 3rd party. /// Allow possiblity to transfer our tokens by 3rd party with maximum limit of _value. 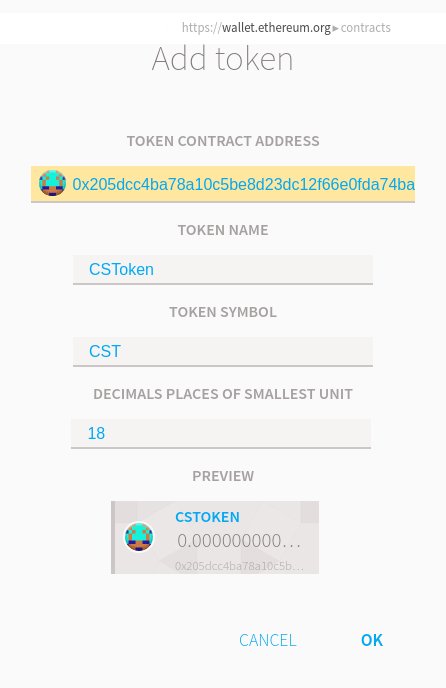 The short name of token: “CST”. So given parameters for constructor will be: 1000000,”CSToken”,18,”CST”. After deploy we will get new contract address. Next possibility is to using our contract through Remix. Finished amount of tokens should be 100,000,000,000,000,000,000,000 as we defined 18 decimal points. While we got our address we can use now 3rd party tools. So we use Mist for wallet management. In Mist we can track tokens what we have on our account. We can transfer tokens to other account using transfer function. If we want to send 50 tokens to another person, we must provide a parameter to function as result of 50 * 1018. After transfer, our token should be tracked by Mist. The token is next opportunity given by blockchain technology. Thanks to ERC20 standard 3rd party tools gave greatest possibilities to management or tracking. That standard gives the possibility to usage tokens directly on cryptocurrencies market. That mean tokens can have real market value. Also, having tokens can be a proof of a certain amount of resources – because a token can reflect, for example, shares.